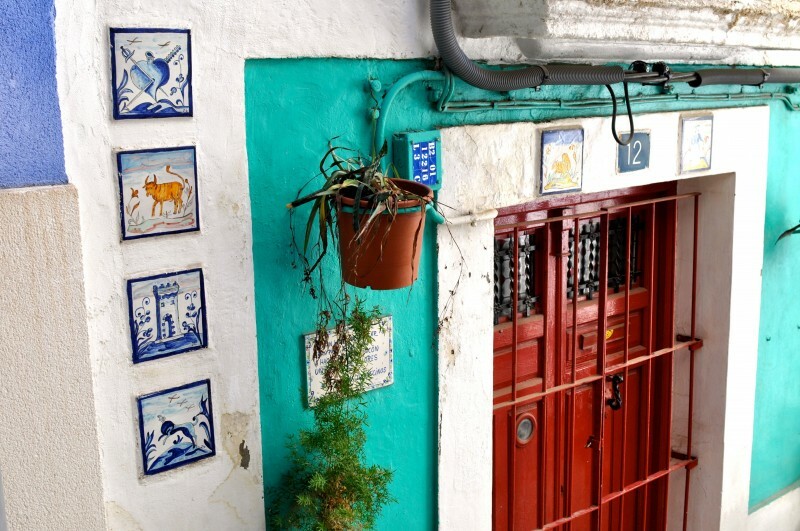 The morning out routes are designed to help visitors discover the most interesting aspects of the city and find all the little hidden secrets that make Alicante such an enjoyable place to visit. 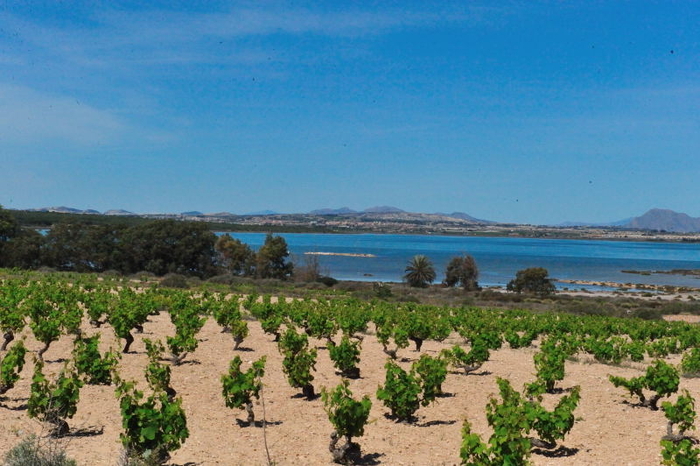 The routes have been designed to take no more than a morning and each includes focal points of interest as well as attractive locations in which to stop off and enjoy some local gastronomy. 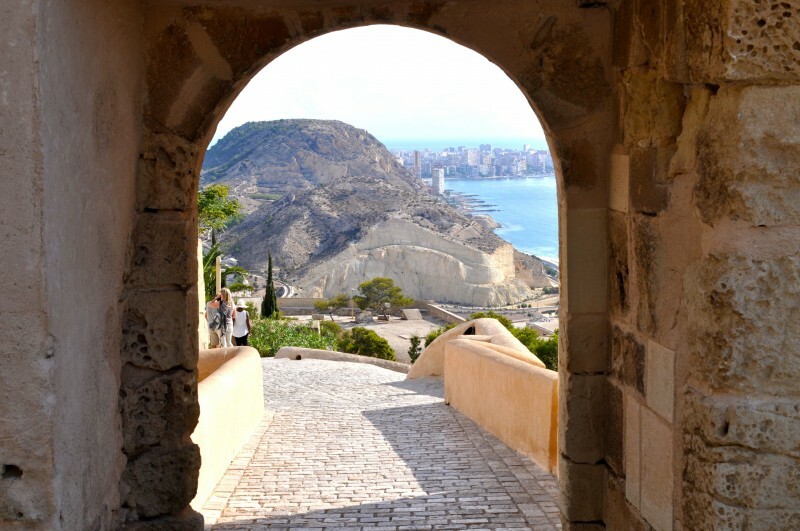 Route 2 shows some of the most picturesque elements of the older quarters of the city, the true essence of Alicante, taking visitors past some of the most important buildings and plazas, then up through the scenic Ereta park, offering spectacular views of the city, and down through the oldest and most picturesque streets of the oldest quarter of El Barrio de Santa Cruz on the slopes of Mount Benacantil. This is a fabulous route for good views, does requires uphill walking and is to be enjoyed at leisure, stopping off in scenic and atmospheric streets, shops and bars. Take your camera on this one! 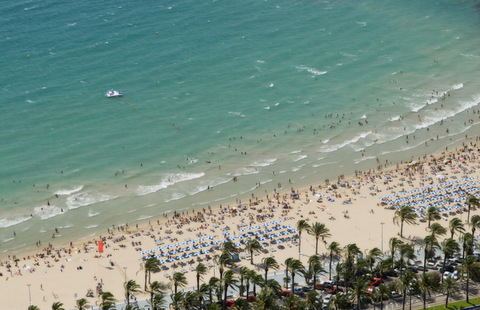 The route starts in front of the cruise ship port, at the top of Calle Muelle de Levante. From this start point, cross the main road on the main pedestrian crossing with the Paseo de la Explanada on the left hand side. This colourful ‘paseo’ is one of the most iconic locations in Alicante city and is also one of the most famous maritime promenades in Spain. It's tempting to wander off down here immediately, but is best saved until the end of the route for an ice cream and a sit in the shade to look through the images on the camera! Continue straight on through the archway directly ahead on Calle Cervantes that leads to the Plaza del Ayuntamiento. This is an important square for some of the main fiestas and cultural events celebrated in Alicante city, including New Years Eve, when residents unite in this square to do the final countdown into the New Year. If visitors are lucky they will see the ‘dancing’ water fountains shooting up from different holes in the ground across the square. 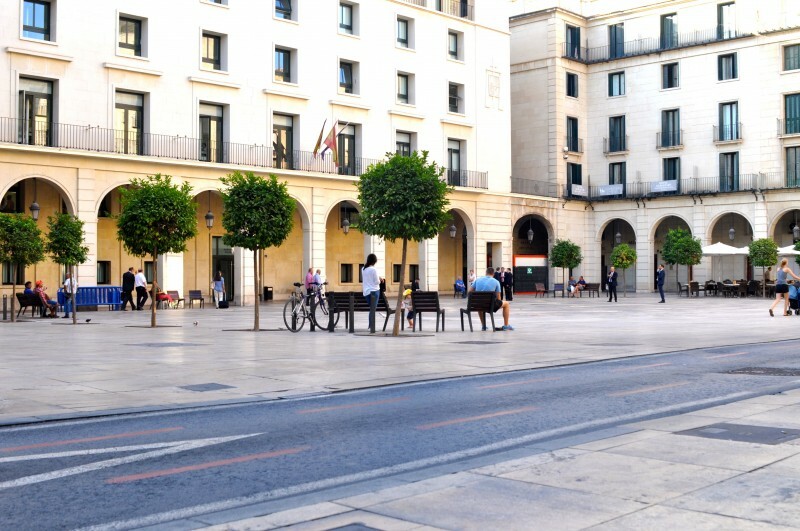 Opposite the plaza is an attractive, imposing building, which is the Ayuntamiento, or town hall, built in an elegant baroque style and dating back to the 18th Century. It is also a tourist information point, so visitors could even pop inside and request a map on route. On each side of this is an archway. Walk through the right hand archway, which is called Calle Pasaje Pórtico II del Consist, leading onto the Plaza de Santisima Faz, which is behind the town hall. 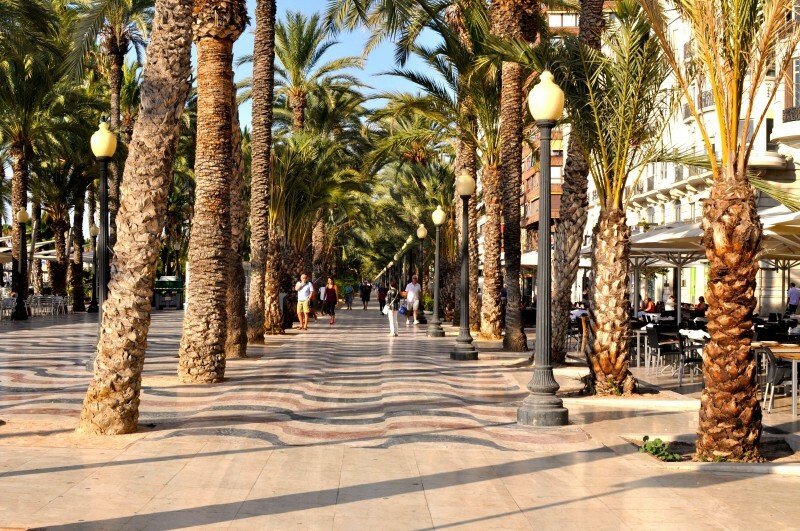 The Plaza de la Santísmia Faz is a popular place among Alicante locals to sit and relax on the benches shaded by tall palm trees, and at night the area is transformed into a bustling square as the surrounding restaurants open up their large terraces onto the square. From here, turn right onto Calle Mayor. Take the first left onto Calle Lonja de Caballeros and then at the end of the road is a plaza, called the Plaza Virgen del Remedio. In the far left hand corner is a set of steps. Walk up these and cross the street, continuing upward via a set of zigzagged steps painted in colourful stripes. These steps lead to Plaza del Puente, where the main entrance to El Parque La Ereta can be located on the left. El Parque La Ereta is an attractive urban park situated on the slopes of Mount Benacantil, boasting an abundance of exotic flowers, olive groves, orange trees and scattered grass, making it an ideal place to rest whilst taking in the spectacular views of the city port and the Mediterranean Sea. Due to the sloped terrain of the park it is formed by many sets of tiered stone steps leading up to different levels. On each level there are benches and wooden slatted undulated benches allowing visitors to recline under the shade of the trees. Right next to the park gate is the Museo de Aguas, Alicante’s water museum, constructed around the ancient ‘pozos’ (wells) of Garrigós. The ‘pozos’ visible today date back to around the 16th Century, although the original wells in this site were built by the Moors who occupied southern Spain between the 8th and 13th centuries. Before entering the park visitors can easily fit in a short visit to the water museum and walk inside the rock cavities to see the wells that once held huge volumes of water. 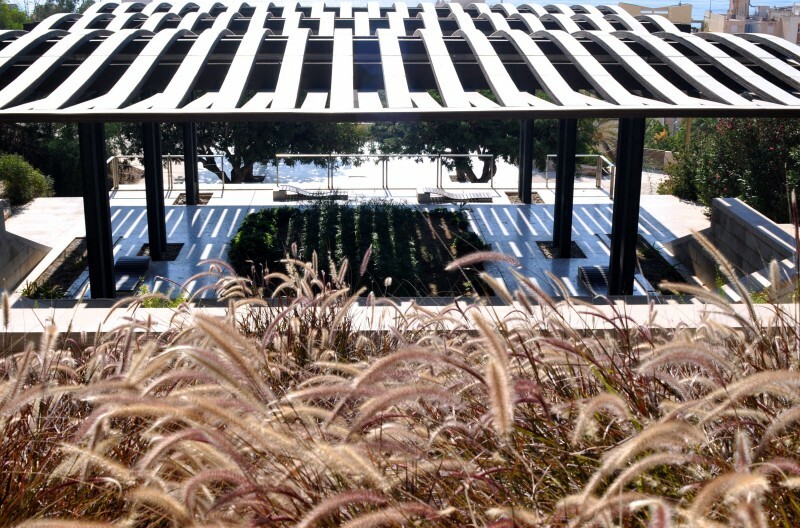 After visiting the museum, visitors can walk up to the different sections of the park by following the logical flow of the steps or ramps, heading in the direction of the attractive roof canopy and continuing this way up to the highest point of the park where there is a large sandy plaza. At the highest level of the park, cross over the large sandy plaza and take the steps that lead up to a much smaller plaza. Visitors could go to the castle on foot from here by taking the steps leading up to the right past the Ereta restaurant and following the zigzagged sloped path that leads up to the fortifications. 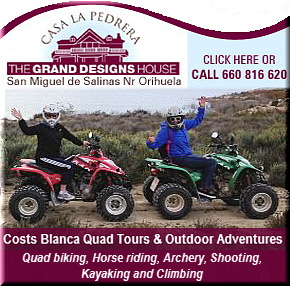 However, it wouldn’t give you as much time to enjoy the rest of the route at a leisurely pace, so on this route we are going to descend straight away into the highest point of the old barrio of Santa Cruz. 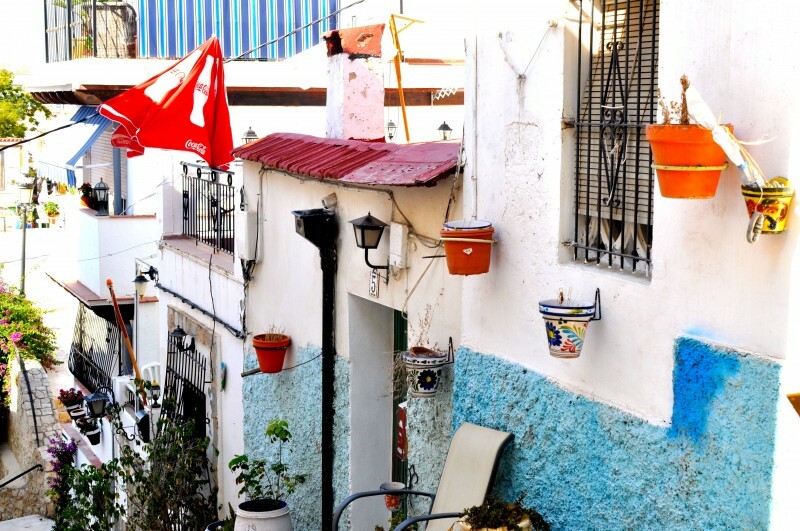 The narrow, pedestrianized streets of the barrio de Santa Cruz sit on the slopes of Mount Benacantil, and are home to old, colourful painted houses and decorative flower pots, giving this area an authentic, antique charm incomparable to the rest of the modernised parts of Alicante city. 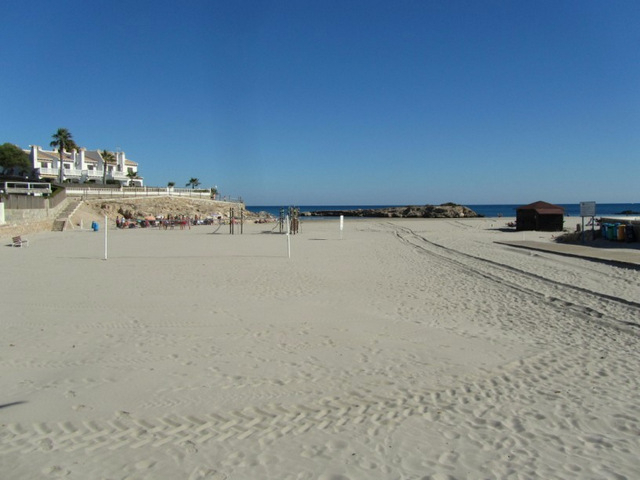 At the second, smaller sandy plaza take the steps that lead down to the left, past the Casa de Santa Claus. 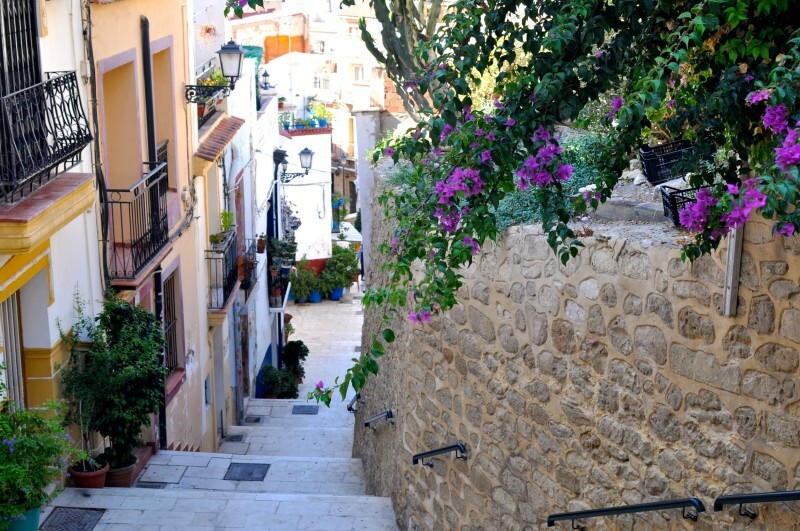 These steps lead down to the highest point of Calle San Rafael (Zaragoza). From here visitors can walk along Calle San Rafael, which branches off onto Calle San Antonio, located further down on the right. This is a nice area to explore, starting first with Calle San Antonio. 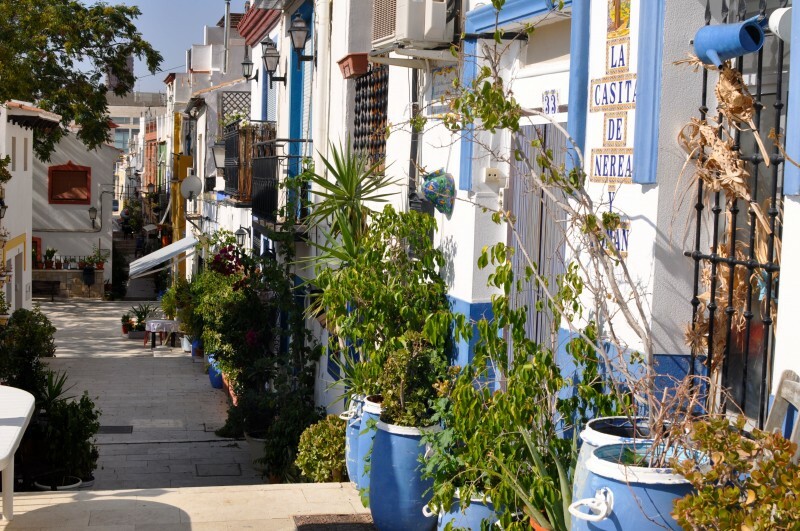 Along Calle San Antonio there are blue, clearly marked sign posts leading to La Ermita de Santa Cruz, a beautiful chapel dating back to the 18th century. Next to the chapel is a viewing point for some stunning views of the city, port, castle and the sea. The chapel is also the starting point for the Hermandad de La Santa Cruz processions that take place during Semana Santa (Holy week, or Easter week). Whilst exploring this area look out for the interesting plaques dotted around on the walls. 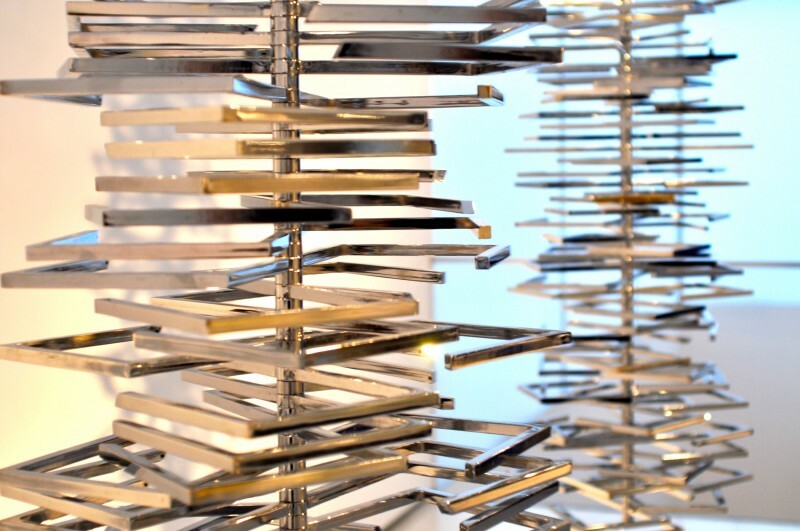 These carry small verses of poetry, some of which tell the journey of the ‘costaleros’ (float bearers) who carry the ‘pasos’ (religious statues) on their shoulders representing scenes of the Passion of Christ during the Holy Week Processions. 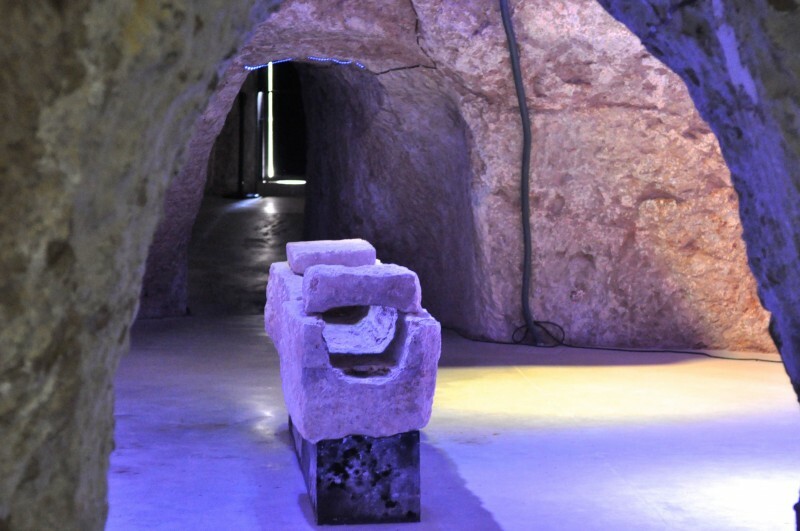 Along the same route visitors can also see paintings and figures representing Jesus and the Via Crucis. As an act of worship, members of the brotherhood follow this route prior to the Semana Santa celebrations. If walkers then return back to Calle San Rafael, and head down, continuing to explore, at the bottom of the road is a square called la Plaza de Carmen. From here turn left onto Calle Toledo and continue along the road into the tiny Barrio de San Roque, home to more attractive narrow streets with quaint little houses. Here is also the oldest chapel in Alicante, La Ermita de San Roque, which can be accessed via the steps upwards on the left on Calle Pedro Sebastia, with more blue signs showing directions to the chapel. Return back down to Calle de Toledo via the same steps and take some time to explore the street at leisure, making sure not to miss the pretty murals along some of the walls with lines of poetry, the antique art shop and the traditional Spanish tabernas, where a stop off for a drink or a bite to eat could be enjoyed before finishing the route. Finally follow the road round to Plaza del Puente (park entrance) and make the descent back to the city port via Calle Mayor, following the same route taken at the start of the day. (From Plaza del Puente turn right down steps, then the second set of steps into Plaza de Virgin del Remedio. At the far left corner turn left onto Calle Lonja de Caballeros, and then turn right onto Calle Mayor. 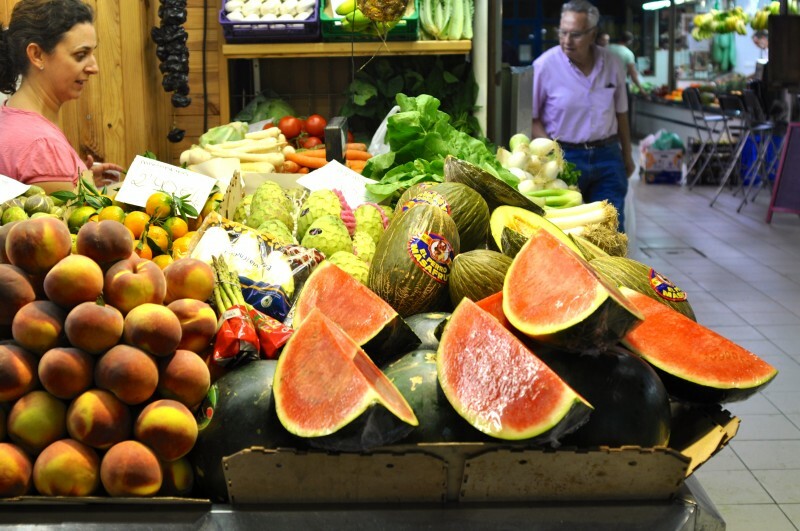 If visitors want lunch, there are plenty of places to eat along Calle Mayor and in the nearby plazas of Santisima Faz and Abad Penalva. 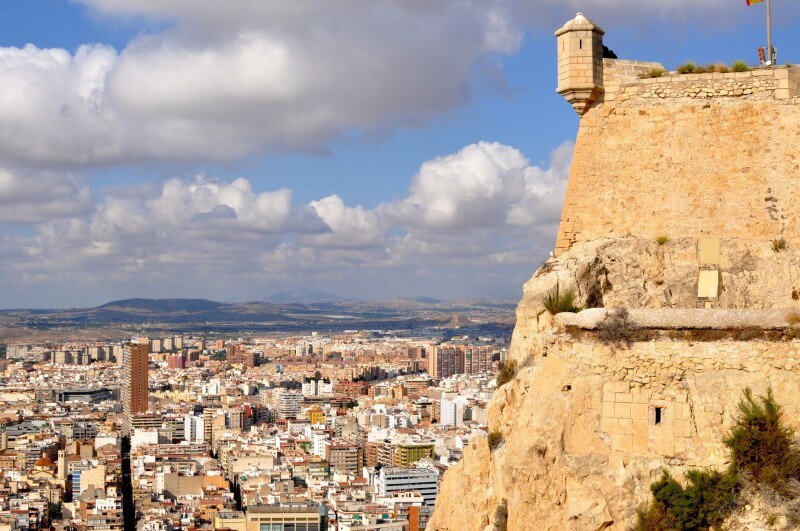 This area is a very popular food district with an abundance of restaurants offering typical Alicante dishes including tapas and ‘arroz’ (traditional rice dish). Turn left at Plaza de Santisima Faz through the arched passageway called Calle Pasaje Pórtico, cross over the plaza del Ayuntamiento and finally walk through the next archway on Calle de Cervantes. The city port can be seen straight ahead). 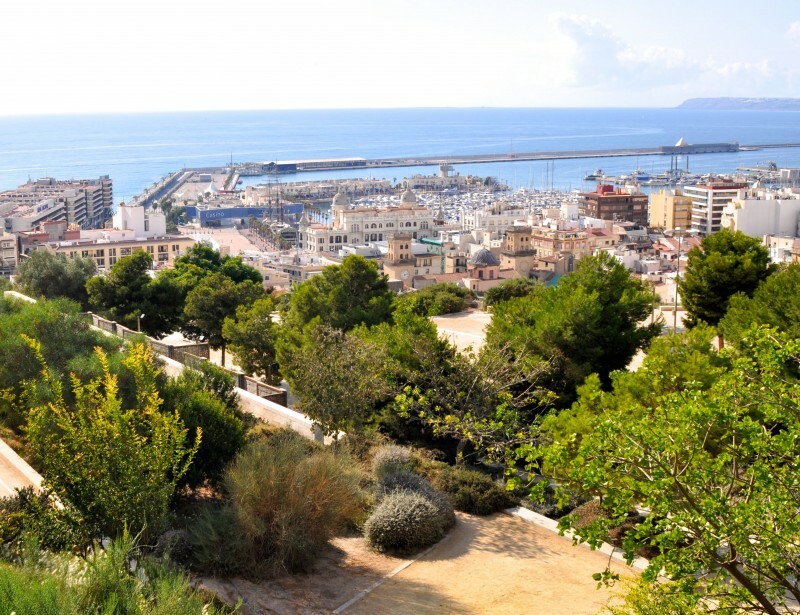 Click for Alicante City Route 1, which visits the Castle of Santa Bárbara, ascending via a lift, and then walks down through the Parque Ereta.